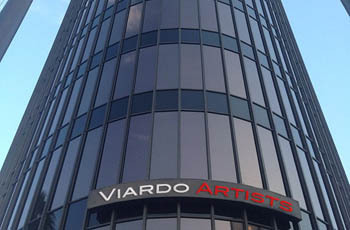 Viardo Artists is a full service entertainment company specializing in Management and Production, with offices in Beverly Hills and Burbank, California. Lead by industry experts with decades of diversified experience, Viardo Artists' executive team skillfully serves both the day-to-day and long-term needs and goals of our various clients and production projects. On the managerial side, Viardo Artists represents both Talent and Intellectual Property clients, helping them to build and navigate their complex careers while delivering diverse revenue opportunities from a multitude of sources in the entertainment industry. The company also assists its clients with Publicity and Product Placement services in order to optimize the relationship and maximize their exposure and bankability. After years of working in production independently, Viardo Artists has forged a partnership with an Emmy Award-winning production house, Natural 9 Entertainment in 2012. Since then, the company has been able to offer complete production and post-production services to our clients while actively producing a large variety of original Television and Film content for a number of domestic and international outlets and distributors.